Pumpkin! There is something super savory and super tasty when it comes to anything pumpkin. 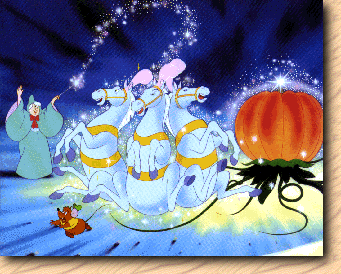 Cinderella definitely had it right choosing to ride off in a giant pumpkin. Since it may be difficult for all of us to find a giant pumpkin to ride off into the sunset, it may make more since to just try Trader Joe's Non-fat Pumpkin Greek Yogurt. Not only is it super delicious, but its packed full of protein and probitotics with live and active cultures that keep your immune system strong and provide you with that glowing skin which we love! Try some today and let us know what you think. Remember this item is seasonal, so try it before it's too late! 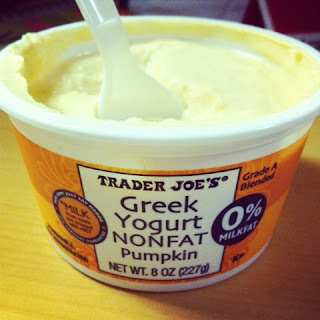 Get nutrition facts for Trader Joe's Non-fat Pumpkin Greek Yogurt. Fun Facts: There are so many benefits of adding yogurt to your diet, but one hugely important one is that of aiding weight loss.